Instead of soil, composting worms live in moist bedding material. Worm bedding refers to the material that is both high in carbon and also moisture absorbent. It creates a habitat for your worms to thrive in. And if the conditions in the bin are not quite right, it also gives your worms some temporary respite. The most important step in setting up a worm farm is selecting the right bedding material. The ongoing moisture level of the worm bin bedding is also important to keep on top of. Worm bedding is a long term food source for worms. In fact, up to 50% of a worms diet may consist of its bedding. Bedding also helps to keep the bin conditions balanced in general (C:N ratio, moisture level, oxygen content etc…). Some of the most common problems that arise in a worm farm are fixable by adding some fresh bedding. 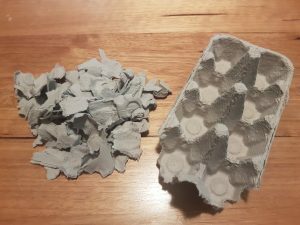 Egg cartons made from recycled paper are a good variety to add as worm bedding. Here’s a list of common bedding materials you can add into the worm bin. The best approach is to add a variety of bedding materials in the worm bin. This will balance the strengths and weaknesses of different materials. For example, some materials hold more moisture than others such as peat moss and coco fiber (coir). Leaves usually do not hold as much moisture as cardboard or paper. While bulkier materials such as cardboard are better at creating more air pockets in the bin. Furthermore, hay and straw do provide great space for air and worm movement because of their structure. A variety of different worm bedding materials will result in a greater mix of nutrients, improving the quality of finished worm castings. 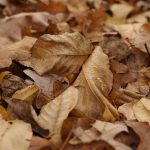 Note that adding dry leaves could introduce some unwanted creatures into the worm bin. This may not be a problem though. And if you’re adding compost for worm bedding, make sure that it is aged past the compost heating stage. Otherwise the head can kill your worms. Shredded cardboard is essential for worm bin bedding. Provides lots of air pockets. Absorbs moisture well. Brown cardboard has a C:N ratio of 350:1. I always have a lot of old newspaper hanging around. 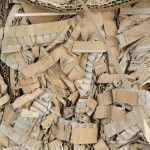 If you do not own a shredder, hold a few pieces together and tear long vertical strips by hand. 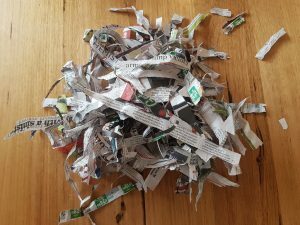 Shredded newspaper has a C:N ratio ~175:1. Excellent bedding to help get your worm bin started. Mix it in with other food scraps and bedding materials. Coco Coir Super water absorbent. Excellent bedding to help get your worm bin started. Peat Moss Super water absorbent. Peat moss is slightly acidic. So do not add too much. Peat moss has a C:N of 58:1. Straw / Hay Occasionally I add straw for some variety. Straw has a C:N ratio of 75:1. Provides lots of air space due to it’s structure. Not very water absorbent. Risk of introducing pests into the bin. Note that adding green leaves will add moisture and heat (similar to grass clippings). Dry leaves has a C:N ratio of 60:1. 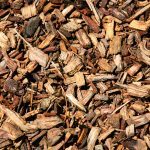 Wood chips has a C:N ratio of 400:1. Add some wood chips to increase the C:N ratio. Remember an ideal C:N ratio should be between 20:1 and 35:1 for worm composting. You can achieve this by adding equals amounts of greens and browns. See feeding worms. You should avoid using colored print or glossy sections of the newspaper as bedding. These sometimes contain heavy metals which can be a problem. Most office paper is made from wood, and in it’s natural state is actually brown in color. To change the color of paper from its natural brown color to white, it needs to be bleached. A chlorine-based bleach is typically used o make the paper white. The bleaching process creates dioxins and other toxic chemicals. These chemicals can irritate and harm your worms. Worm bedding material needs to be at about 80% moisture level. Hence you should dampen the bedding material before adding it into the worm bin to keep things moist. The bedding material should feel like a damp sponge, moist but not dripping. I choose to only add materials that I always have available such as newspaper and cardboard. 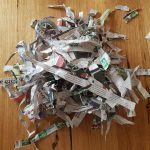 Don’t forget that newspaper must be shredded and cardboard cut into smaller pieces before adding in. Make sure the worm bedding does not matt together in large chunks. This can cause anaerobic (without oxygen) decomposition and a foul odor. Once a week you should lightly lift and fluff the bedding material to create air space and to prevent it from compacting. There should always be a higher carbon to nitrogen ratio (C:N) contained in the worm bin. 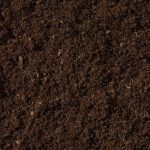 For worm composting, conditions are generally ideal with a carbon-to-nitrogen (C:N) ratio of between 20:1 and 35:1. Always remember, you can never add too much worm bedding on top. When in doubt, add more paper! When adding worm food into the bin, mix some bedding in to optimize the decomposition rate. Worms live in the dark and will more happily eat food that has been covered up. When feeding your worms, always add some extra worm bedding. Maintain a nice thick dry layer of bedding on the top. Keep topping this later up as it gets moistened and shrinks down.